Click the Add Box button. On the resulting page, log in to your Box account if you need to, then click Grant access to Box to allow Grepsr to add files and folders to your Box. 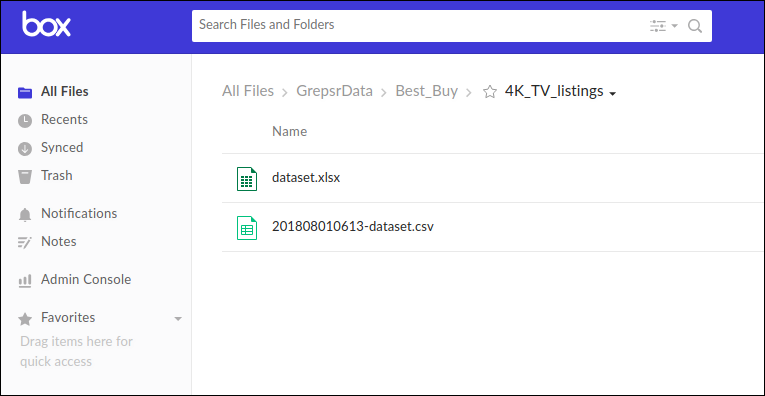 Once linked and your data is exported, Grepsr will create a folder named “GrepsrData” in Box, within which are sub-folders named after your project and report respectively (i.e. “GrepsrData/Project_Name/Report_Name”), and upload the files to this location.